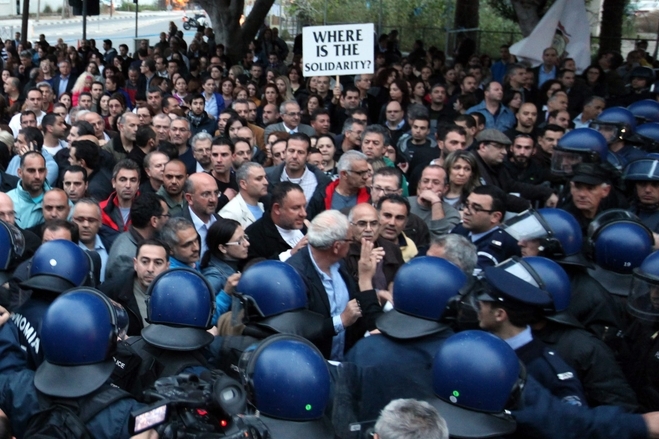 Citizens of Cyprus have taken to the streets to protest the to pressure their politicians to resolve the banking crisis that has erupted across the country. The government has until March 25 to raise the funds needed to secure a bailout from the IMG and the Eurogroup. Cypriots - including bank employees - are anxious to know what the verdict will be. They have continued to rally despite clashes between protesters and riot police. The banks in Cyprus have shut their doors while the government explores solutions and have limited the amount of money customers can withdraw.